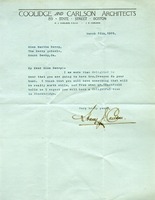 Mr. Carlson writes that he is glad that Miss Berry will use Mrs. Cresson for her portrait bust. 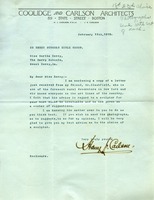 Miss Berry writes to Mr. Carlson to inform him that she feels Mrs. Cresson is a good choice for her portrait bust. 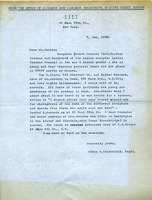 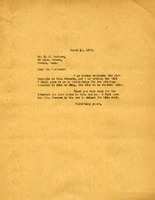 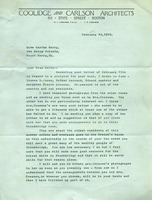 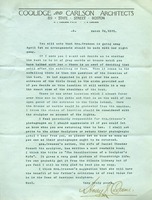 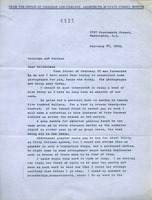 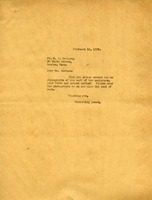 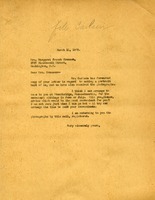 Martha writes to Mr. Carlson asking for photographs of the work of his first and second choice sculptors.